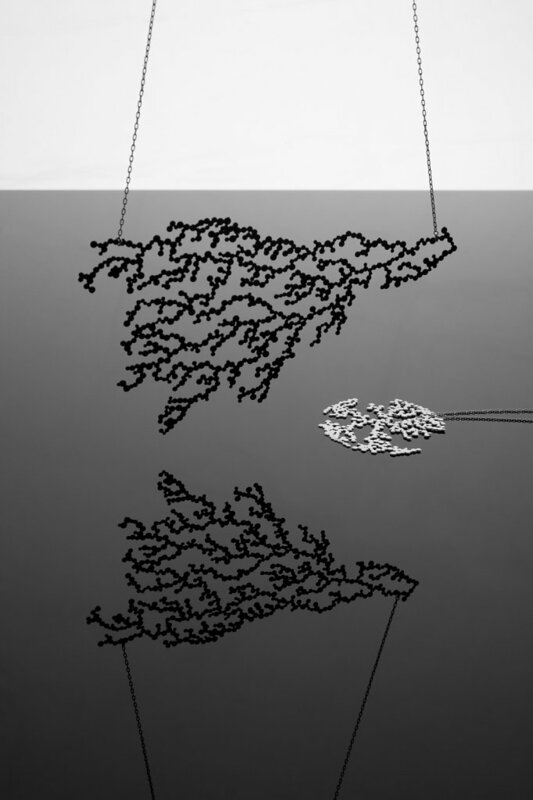 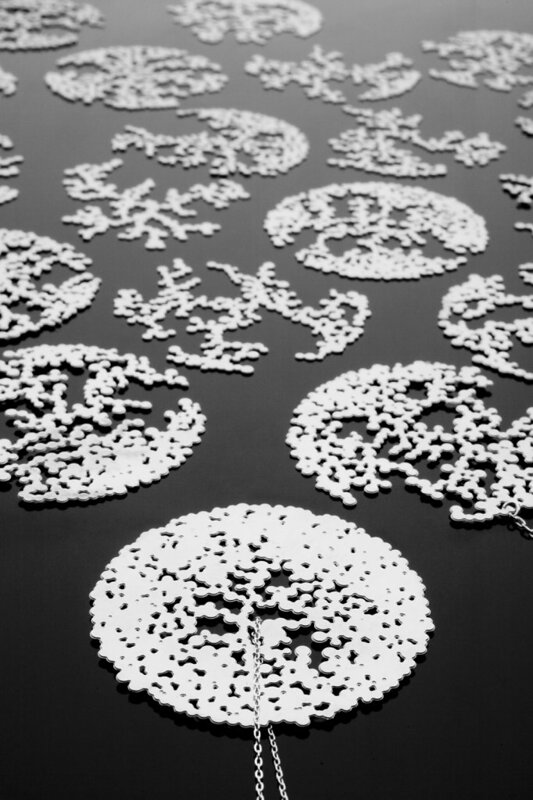 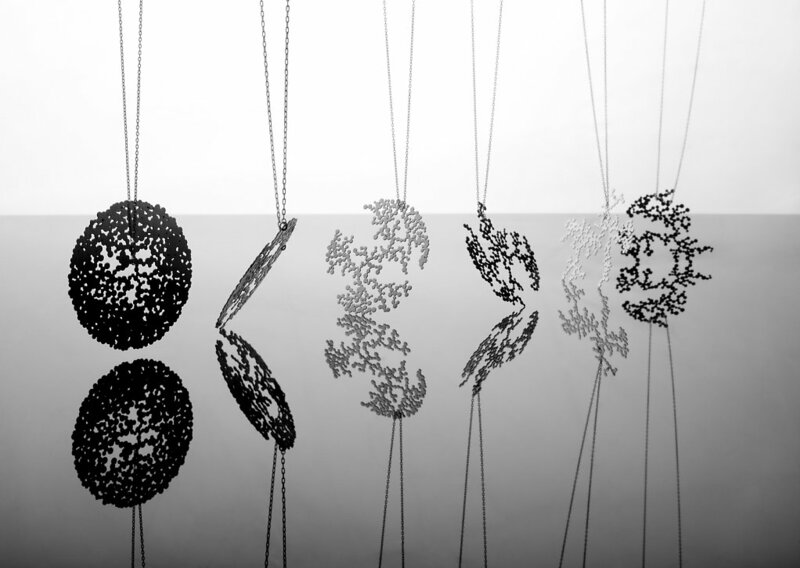 Our Dendrite project (2007) was inspired by the aggregate, branching growth of dendritic crystals and coral. 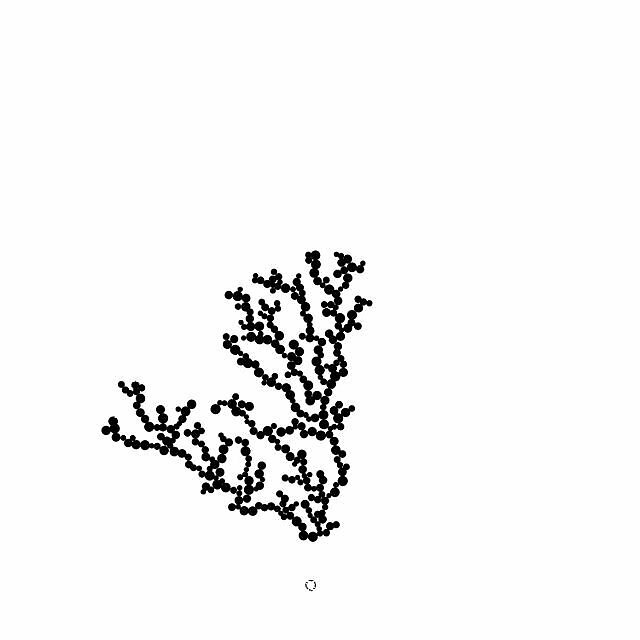 It is based on diffusion limited aggregation, a process whereby randomly moving particles gradually accrete into complex configurations by colliding and sticking to one another. 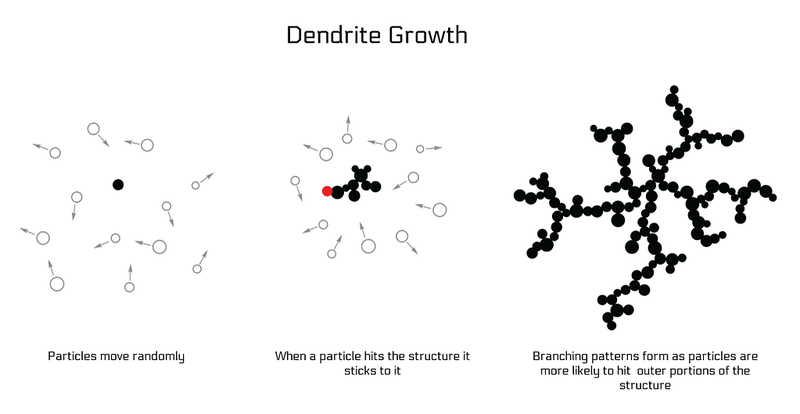 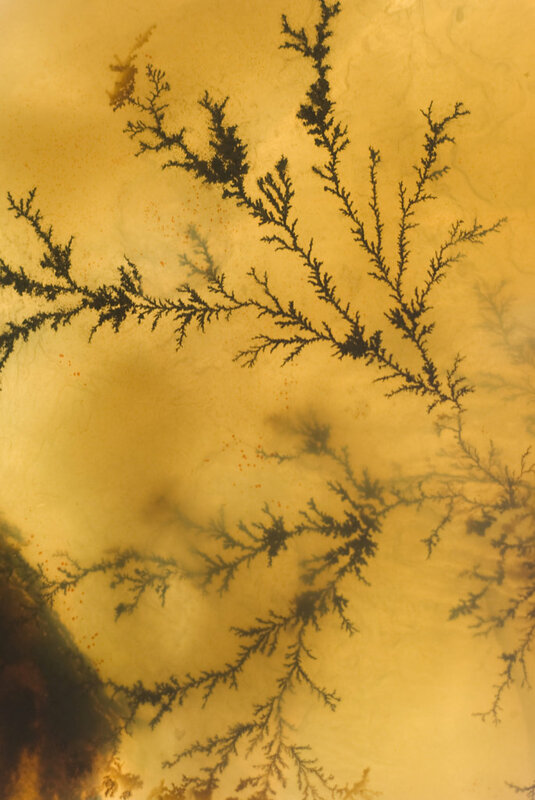 Our dendrite simulation uses anisotropy, boundary constraints, and variable particle sizes to generate an infinite variety of branching forms reminiscent of coral. 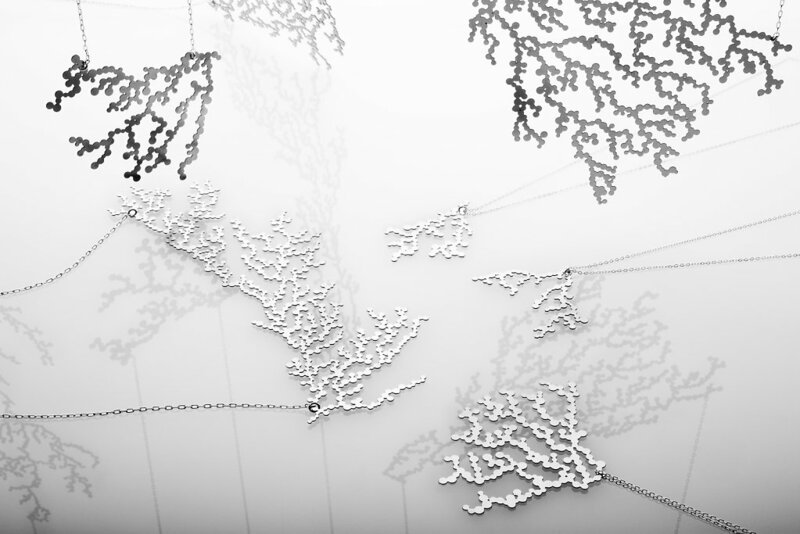 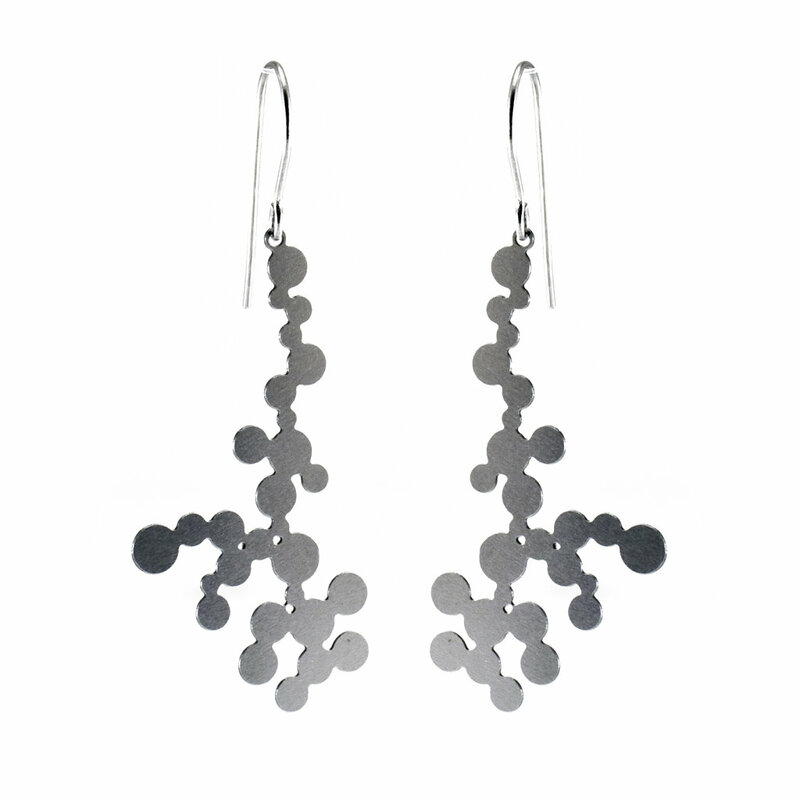 We’ve used the system to produce generative products like our Coral Series and Full Moon Series necklaces where every piece in the product series is unique.